Throughout his extensive experience as a divorce and family law attorney, certified mediator, collaborative lawyer, and litigator, Mr. Darren M. Shapiro Esq. has benefited from the opportunity to work with numerous families in a wide variety of often complicated circumstances. As such, he is well prepared to help even the most confused of family members work through the complex issues involved in family law. For instance, in cases where Mr. Shapiro is managing an issue of Paternity in New York, the family involved may need to know more about a concept known as "presumption of legitimacy". In a paternity case, children born to a mother during a marriage are often presumed to be the biological product of that marriage - hence the presumption of legitimacy – which historically was one of the most persuasive presumptions in law. However, though the presumption of legitimacy has been upheld stringently throughout history, it's important to note that it is still subject to reason. For example, in a paternity case involving a child born during marriage, the presumption would be unlikely to fail unless some evidence came to light that demanded the court consider otherwise. If a husband and wife are living together, legitimacy will also be presumed, and even if the couple lives apart, courts can suggest that the child was born as a product of the time the couple spent together. Over the years, the case law that has determined the presumption of legitimacy in cases of paternity wherein children were born during a marriage has been extensively questioned. Concerns have not arisen because the reasoning behind such case law has changed over the years, but because, as Mr. Darren Shapiro and other divorce attorneys and family law lawyers have witnessed, the modern era allows for updates in technology that make it more possible to accurately determine legitimacy. For example, in older cases, one of the most important - if not the only factor used to determine the presumption of legitimacy in court was access between wives and husbands. However, progression into the modern world has allowed for blood tests and DNA tests. In other words, as Mr. Darren Shapiro advises his clients - the presumption of legitimacy is still important in court - but it is only another legal presumption used when contrary conclusive evidence isn't available. Despite the modern times, presumption in legitimacy when used in court paternity cases can only be overcome by particularly high standards. In New York court, the presumption of legitimacy may only be rebutted with the use of clear and convincing proof that excludes a husband as being the father of a child. Sometimes, Mr. Shapiro has found that the presumption has even stopped evidence from paternity tests from being obtained. However, the doctrine of equitable estoppel in these cases still remains in play, and it can be used to preserve a legitimacy status for the child in question. Paternity cases, like many of the family cases Mr. Shapiro addresses, are complex, and require the court to consider all important factors, including the possibility to apply equitable estoppel. The purpose of equitable estoppel in court is to stop the enforcement of rights against a person in order to prevent fraud or injustice. 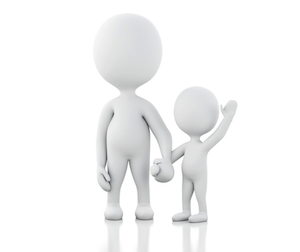 Usually, equitable estoppel in a paternity case will occur when a person represents themselves as a child's father - either through the exercising of parenting time, or the provision of support. Frequently, equitable estoppel has been used to prevent the order of a paternity test to discover actual biology. The reason for this is that if a man has held himself as a child's father, it's usually in the child's best interests to receive a declaration of fatherhood through equitable estoppel. In the same way, Mr. Shapiro has found that equitable estoppel can be used through paternity cases to provide legitimacy status to a child. Put simply, during a marriage wherein a man held himself as the father of a child, equitable estoppel can be used to protect the interests of a child who already has an existing recognized child-parent relationship. As Mr. Darren Shapiro has found during his time in family court - when dealing with a paternity case that involves a married couple, courts must consider the actions a husband has shown, regardless of whether or not he is the biological father of a child. A family court or supreme court has the right to determine whether the husband acted as a father to the child, through visitation time, the provision of financial support, or other matters involved in equitable estoppel - and this can prevent a rebuttal of the legitimacy presumption. Through the doctrine of equitable estoppel, a child's legitimacy status could not be swayed by blood tests or DNA evidence. However, before an individual can apply equitable estoppel, the court must determine that the order is in the child's best interests. In New York, it is clear that the family court support magistrates who deal with paternity cases initially in family court, should refer cases to judges for determination if equitable estoppel is raised when contesting paternity. However, the question remains as to whether a support magistrate should be able to determine presumption of legitimacy before referring the issue of equitable estoppel to the judge for determination. In the belief of Mr. Darren Shapiro - the fact that both issues are so closely interconnected ensures that they should be determined together, and equitable estoppel should be used to prevent the rebuttal of a presumption of legitimacy. As with any issue of family law, the complications surrounding paternity cases, equitable estoppel, and the presumption of legitimacy can be difficult to understand without professional guidance. In order to learn more about the issues most commonly associated with paternity cases in New York court, please feel free to reach out to us. Alternatively, if you would like to use Mr. Shapiro as your personal litigator in a case that involves paternity matters, please schedule your free initial consultation at a time that is most convenient to you. We look forward to speaking with you.